We invite you to explore the Magnificent and Miraculous Runes of the Infinite Mother through a most wonderful and supportive Dashboard environment that let’s you do all manner of spreads for guidance, manifestation, clearing and activation, with greatest ease! Received by the mystic seer Almine, the Runes are powers that will support you to greater clarity, fuller expression, and potency in life. They work to merge inner and outer realities until both become a seamless whole, and life fluidly reshapes to your evolving awareness. The Runes help to stimulate new capacities in you, so that your life refines to ever greater levels of self-sovereignty, beauty and grace. Read more about their power on the Rune page. About two weeks later, I get an email from Dave with a link to the first prototype! It felt like pure magic! I then sent him a long wish list, and Dave told me why certain things were not possible… then a few weeks later he sent me a new version where he’d managed to implement everything. And it always was better than I had envisioned. So my wish lists just got more and more demanding. Later he said he’ll never say it’s not possible, as every time he was proven wrong! So many iterations later – of development, major rewrites, redesigns and upgrades, and ever-present magic—we were thrilled to be offering our first product release in May 2016! The extensive use of this initial public release has resulted in a completely new version with a lot of added functionality! 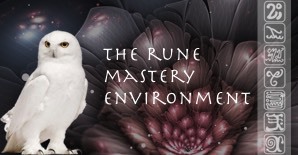 It has truly grown into a very extensive and complete Rune Mastery environment to support your personal accelerated awakening, and to support a Rune practice with clients. Find out how you can create a practice with the Runes, or enhance your current healing practice (visit the Training page for Mastery and Grand Mastery training). The Anutiama Dashboard environment makes the Runes easily accessible so that they likely become a central part of daily guidance and manifesting a life of grace. The Runes are the most potent and versatile tool of leveraged evolution on the planet – a precious gift from the Infinite that we have Almine to thank for. Through the Anutiama Dashboard environment and one of the available Rune subscriptions, these powers become accessible to you on your desktop computer, laptop or mobile device. With full search, spread and integration capabilities, you can consult with them and take in their powers easily throughout the day. And if sharing this modality with clients interests you, the environment provides great support for this too. You can do spreads with clients through screen-sharing and then give clients access to their spreads and support material to integrate the power of the Runes deeply. The time of the Rune Masters and of the Runes of power for the liberation of all is at hand. Read the story of the Runes as told by Almine, by following the link on the Runes Page. It is recommended that you have the Book of Runes not only in order to better navigate and understand the power of the spreads in the Rune Mastery Environment, but also for its function as power object and the The Bridge of No Time, for becoming a Master of the Runes. Visit the products page to see which version best suits you. 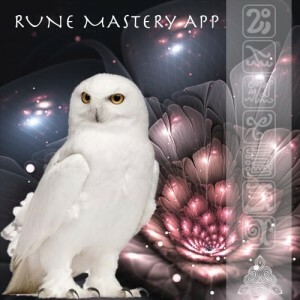 “I absolutely LOVE the Rune App. The possibilities are endless! It’s beyond a database…it’s ALIVE. I can do spreads any time…even on my phone…anywhere! The different spreads are beyond brilliant! I especially love the “Yes & No” spread and how it reveals so much. 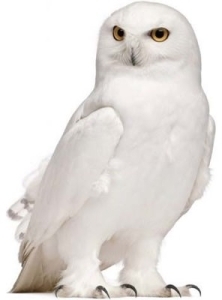 One time I kept asking questions I knew the answers to and didn’t understand the answers I was getting. I realized that I knew the answer and asked “should I stop asking these questions?” and the answer was “Yes”. The “Daily Rune” is so personal. I’ve received praise from clients because I’m able to send the spread to them. They love having something in their hands from the session that has power which is really already in them! The Rune app is a truly invaluable tool for practitioners and students of the Runes, whether it is for personal use or client work, or a bit of both. The multiple spreads and more complex search functions leave so much room for working with the Runes in more layered and nuanced ways, to gain deeper insight and understanding, and leverage deeper embodiment of the power of the Runes for evolution of consciousness, and therefore beneficial contribution to life. What I particularly like about this digital format is that it makes the power of the Runes almost impossible to manipulate, whereas I have observed in paper format the tool can be misused like any other. This format feels very secure to me. Also, the addition of the many additional spreads and the incorporation of the wheels is truly wonderful. I would highly recommend this platform to any Rune enthusiasts! Way back in December I sent you an email describing my overwhelming response to the first iterations of the rune app. I wrote: “Today Anita shared a screen shot of a 7 field rune reading and I just had to write to you to let you know how moved I was by simply observing it. The fanning out of the colors, the comprehensive description of each card broken down the way it is…is simply magnificent and beyond anything I had imagined. Just witnessing the spread I sense the aliveness. The magic of the Runes is fully expressed this way. Fast forward to today when I have completed scores of readings for myself and dozens for clients. A sense of profound awe remains and is now coupled with a deep devotion to the sacredness that is imbued within each element of the rune reading processes. In the past week I have used a host of the special features – from keyword exploration of individual cards to yes-and-no readings to special pre-set themes. Each iteration of the program is more astonishing than the last. I can’t wait to see what you and Anita do next.